Our ‘Congratulations on Your New Paws! 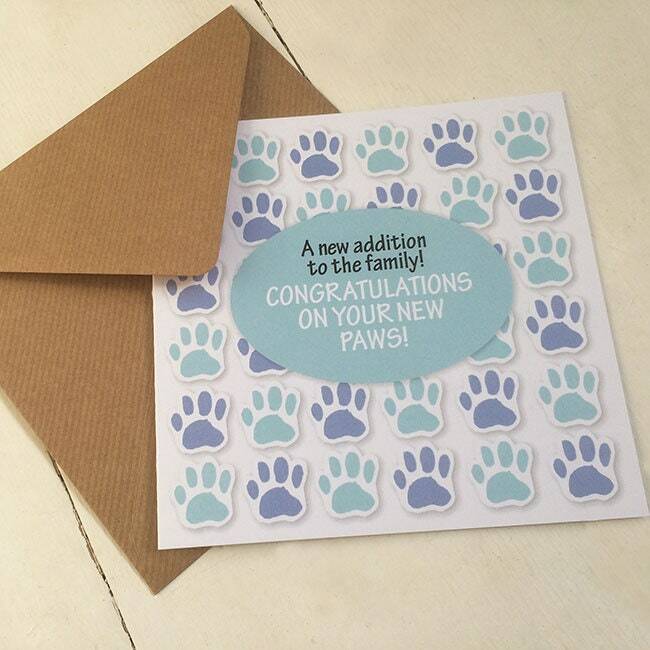 – A New Addition to the Family’ is the perfect greetings card for a friend or family member who has just brought a new dog into their life. 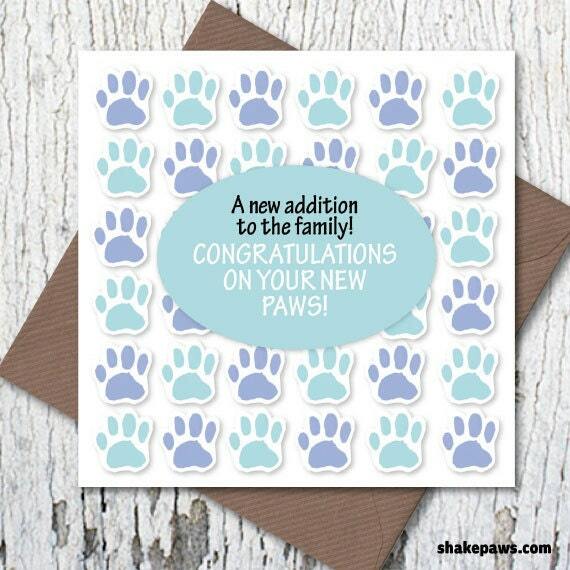 Show you respect their choice with this exclusive dog paw print card design by Shake Paws. As dog lovers, we’re sure they will appreciate it. Everyone was asking where I had bought it from, and the person who received it was so pleased. Such a lovely idea! My friend loved it and commented that she had never seen a card like it.